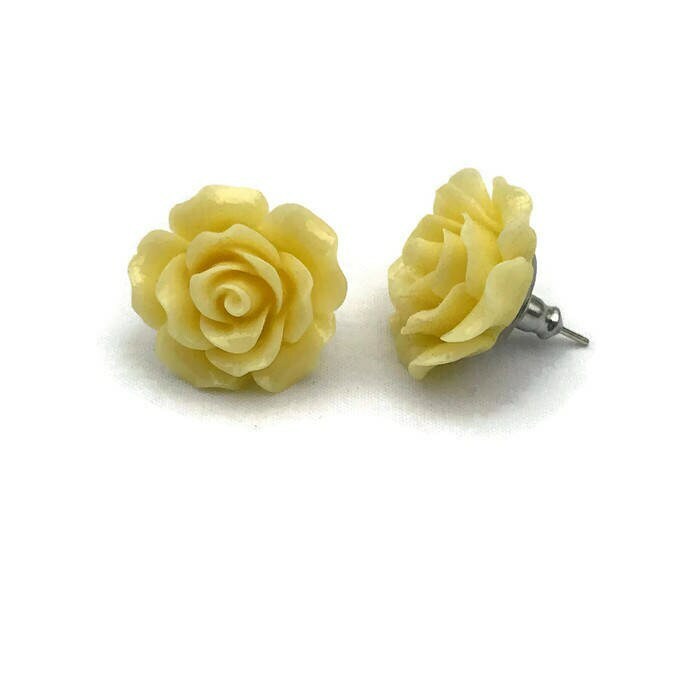 These light yellow rose earrings are large at 20mm and sure to get noticed. The versatile design makes these perfect to dress up or down. 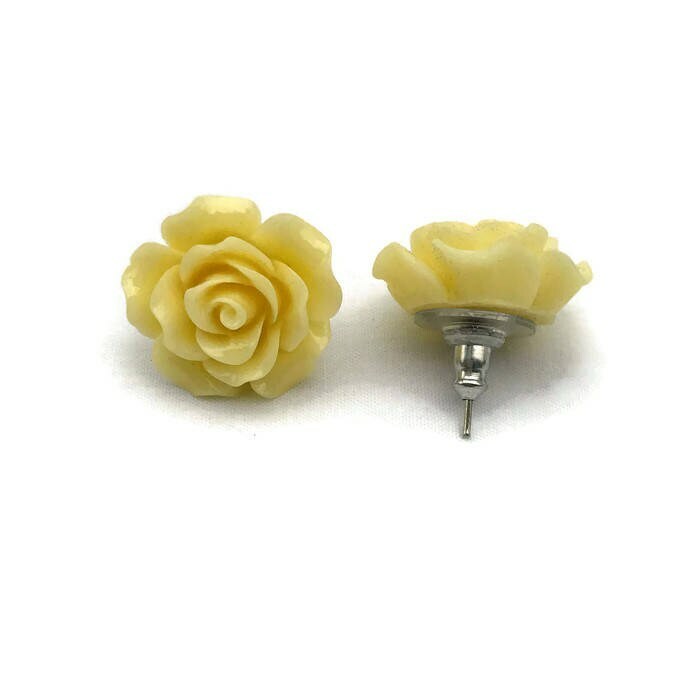 The rose is made of lightweight resin and secured to a nickel free stainless steel post. 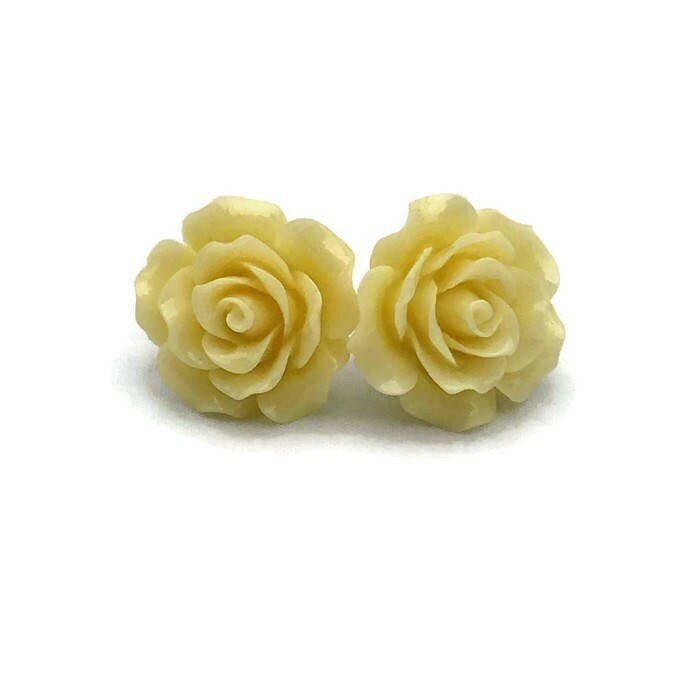 Earrings come with earring stabilizing backs to keep the earring snug to your ear. I absolutely love these earrings. 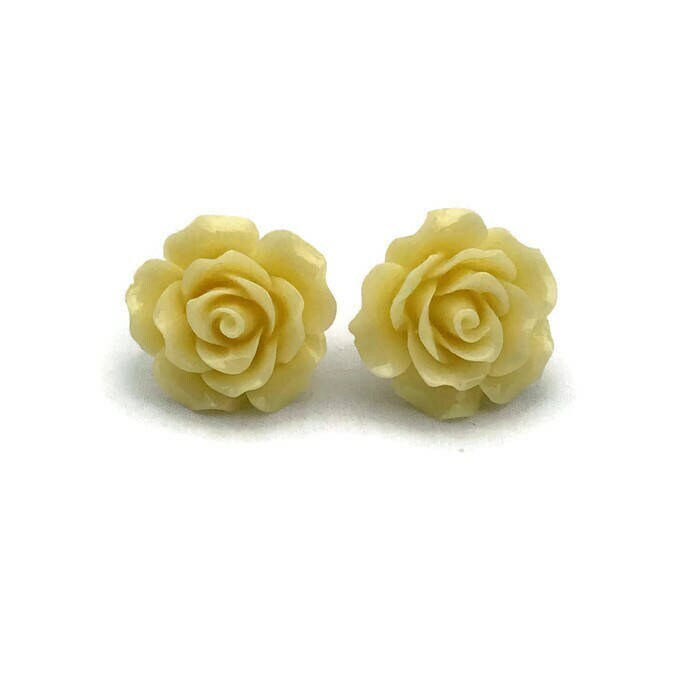 The color and detail of each rose is amazing and they look awsome on my ears! !